Baskets, bridles, and chokers. bring it on. Suspension Solutions. Wire Rope Slings are ready. 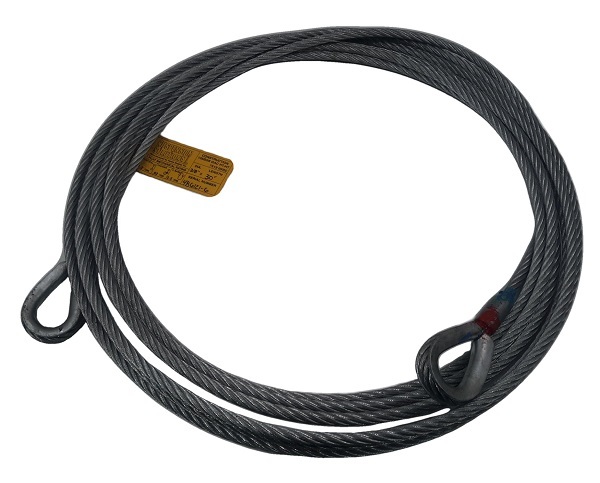 Made with 7x19 galvanized air-craft cable and finished to exacting standards with heavy-duty thimbles and flemished spliced eyes, our Wire Rope slings take safety to the steel. Designed to accept ½" and 5/8" shackles.